Thanks to Apple's new extensibility features in iOS 8, developers are now able to create extensions for their apps that let you perform actions in notifications, widgets, and in stock Apple apps without having to open up the specific app itself. Aside from third-party keyboards and widgets, we know have app makers hitting up the share sheet menu, Snapchat being one of the first to do so. 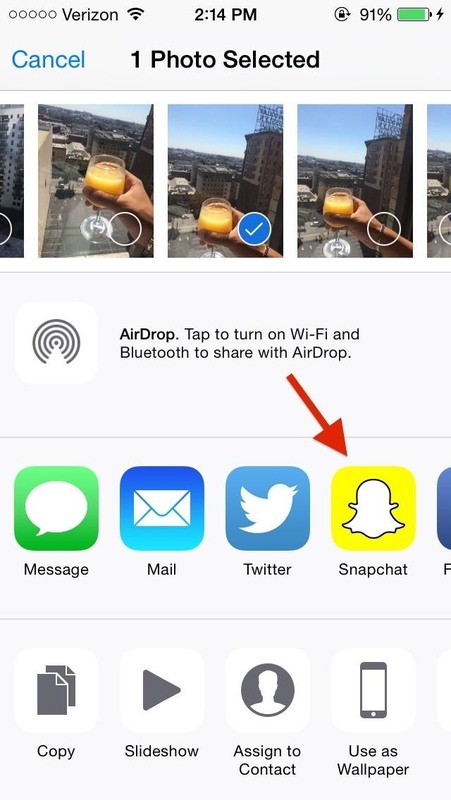 This means you can now share an image from your Photos app directly to Snapchat. 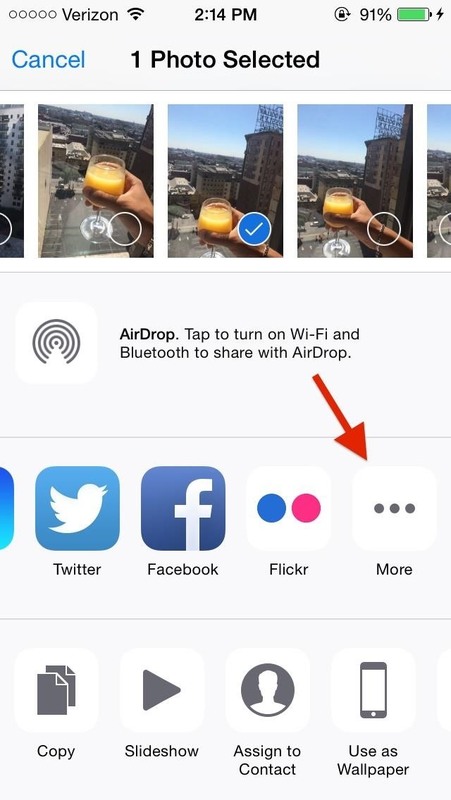 From the Photos app, choose a single picture to share and tap on More. 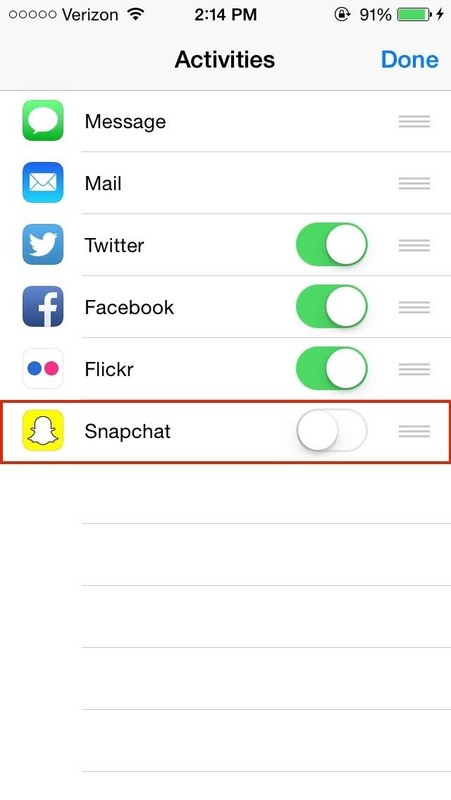 Enable Snapchat from the Activities page you're sent to, then press Done. Note: This doesn't work for multiple photos. Now you'll see Snapchat as a share option along with your other compatible apps. 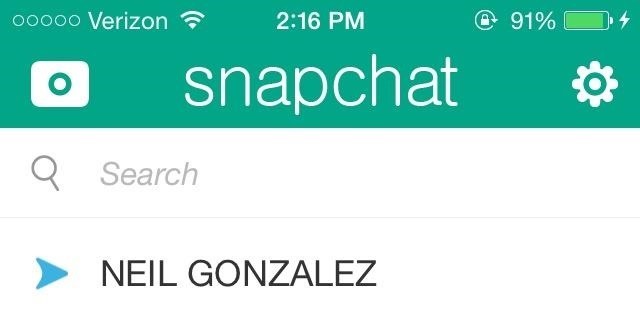 Hold down on the icons to rearrange them, in case you want Snapchat near the front. 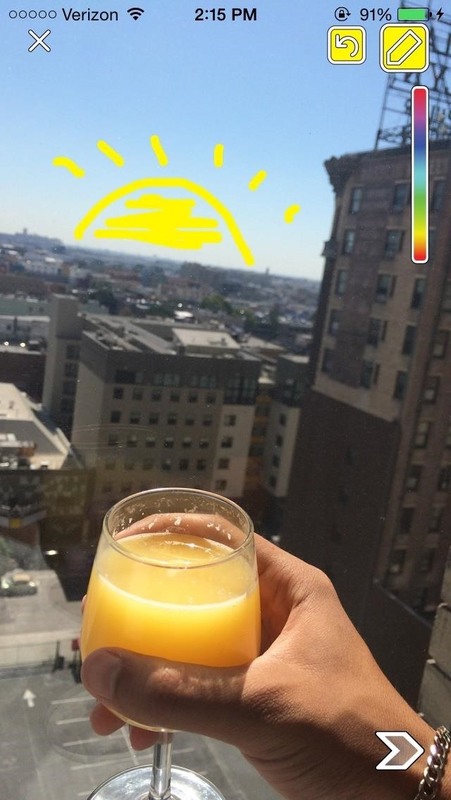 When you're ready to share your image, tap on the Snapchat icon. In Snapchat, you'll be able to draw on your picture and add a caption before sending it out, but you won't be able to apply filters (I'm guessing this will be added in soon). Once you send the photo, it'll be sent as a text message in Snapchat (as opposed to a typical photo message). If all this sounds familiar to you, it's because it is. Sharing a photo saved on your phone has been a feature available on Snapchat for months now, except that it's now easier to do, and can be done directly from iOS 8's Photos app. Thanks to iOS 8, app integration is now at an all time high and it makes everything quicker and much easier to use. Do you know why photos I upload to Snapchat this way seem to zoom every photo in? When the photo is sent it's like it's enlarged and parts of the original photo are cut off because it's zoomed in so much. How can I fix this? I checked the zoom features in accessibility and nothing in there might suggest photos are zoomed by default.